The maintenance is over and our servers are available again. The Flower Power event has ended. While you won’t find any event related items like the flowers any longer, the already collected and crafted items will stay in your inventory. Your progress towards the event specific achievements will also not be affected by the update. By Toutatis! A mysterious chest has been washed up on the beach! What could be inside? Why don’t you open it and find out what’s inside? 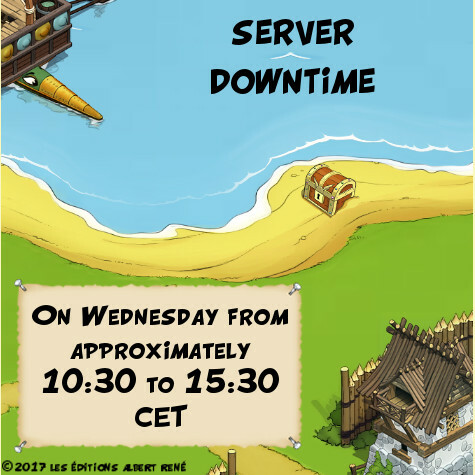 While we install the new update, our servers will be unavailable on March 22nd from 10:30h CET to approximately 15:30h CET. Check our forum or Facebook pages for updates on the progress. We apologize for any inconvenience.